Have you noticed that you feel a sense of exhaustion after surgical procedures? Tiredness after surgery is very common; in fact, if you didn’t have post surgical fatigue, then it would be abnormal! Why Do You Have Extreme Fatigue After Surgery? There are several reasons why humans and animals both experience tiredness after surgery. Here are four of them listed below. When you have surgery, the incisions that are made cut through your flesh. Your flesh is made up of skin, muscles, arteries, veins, and nerves, as well as connective tissue to hold it all together. The greater the number of these structures that have been damaged, the longer it will take to heal. Nerves take the longest to heal. Skin and muscles heal relatively quickly compared to nerves. But as the skin and muscles heal, your body draws upon its nutrient reserves to do the healing. Studies find that vitamin A, vitamin C and zinc are three nutrients used up quickly after surgery, and if you had marginal levels to begin with, then healing is slow. Zinc is involved in the activities of dozens of enzymes in the body and without it, fatigue sets in. Thus, surgery can create a zinc deficiency that makes you tired. Whenever the body has to go into high gear to repair tissue after surgery, it will want to make this repair the #1 priority. To make sure that you comply, your body will feel post surgical fatigue and exhaustion. However, if you give your body time and enough nutrients, you can snap out of this within about a week. That doesn’t mean you’ll be healed in a week. It means that the tiredness after surgery can be a lot better within a week. Nutrients work! The second main reason why you feel extreme fatigue after surgery is because you have had anesthesia. The purpose of anesthesia is to slow your body down and put you to sleep. The anesthesia however, accumulates in the liver because it’s your liver that processes and breaks down any drugs, including anesthesia. 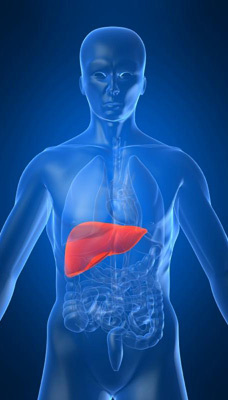 In natural healing, liver cleanses are taken regularly to clean out the liver. The goal is to get the cells working at their optimum levels. Once they are working at optimum levels, they can process chemicals such as anesthesia more quickly. 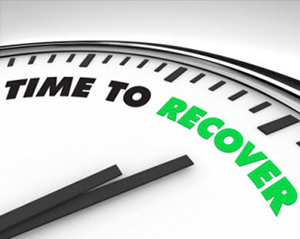 The longer that the residues from the anesthesia stay in your body, the longer you will feel fatigue after surgery. The key is to use a liver cleanser for about 4 weeks to remove all the drug residues. Liver cleansers are simply combinations of herbs that are taken with meals for a prescribed amount of time. There are many different formulations found online. As mentioned in #2, the anesthesia itself causes tiredness. I remember the last time I had surgery and woke up shortly after the surgery. I felt exhaustion and extreme fatigue. “It’s time to get moving,” the nurse told me. “Sure,” I replied and nodded back off to sleep. I thought this was a little crazy; here I had just had surgery! However, her instructions to get up and start moving around were exactly what I needed to start processing the anesthesia, removing the residues of it from my liver. With increased circulation, the liver starts cleansing itself. But it’s not enough, and if you have tiredness after surgery that lingers for weeks, you need a liver cleanse. Always remember that your body needs time to heal. It’s impossible for the body to heal damaged tissue in a few hours. 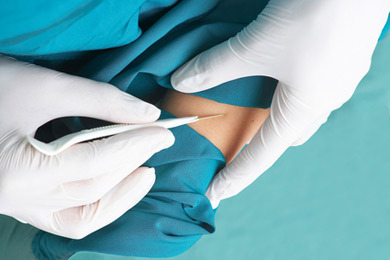 Damage includes a surgeon’s scalpel even if the surgery was beneficial. Unless you receive a miraculous instant healing, you should expect the healing to take a minimum of 6 to 8 weeks, no matter what type of surgery it was. Tiredness after surgery is normal, but it should never last more than a week or two. If it does, you now know what to do. A good book to read while you’re recovering is End Tiredness Program. In this ebook, you will find diet information that can speed up your recovery, and more importantly, stop exhaustion and extreme fatigue. I have post surgery fatigue. Can one die from that? I can barely walk around my house and have rest.